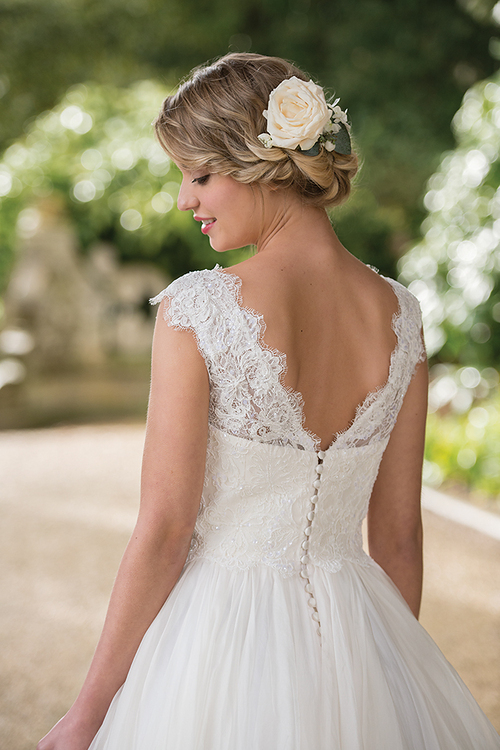 Roman Holiday is a pretty and intricate bridal dress. 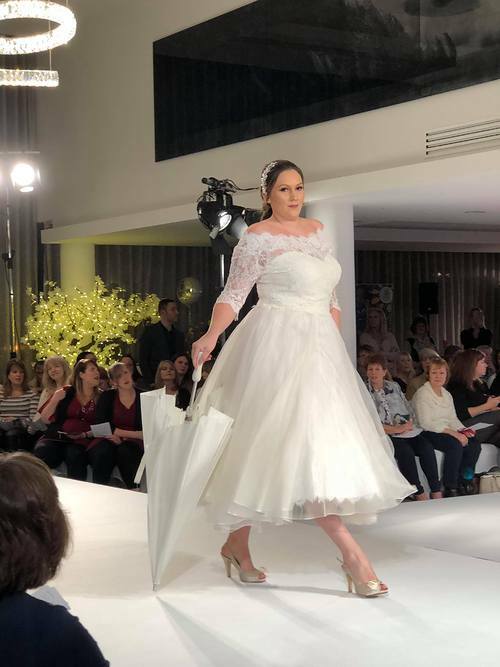 Perfect for brides wanting a romantic shorter wedding gown with the same impact as a long dress.Heavily corded lace with delicate eyelash scoop neckline, silk organza (100% silk) skirt with pearlised seed beads and illusion sequins. Tiny pearlised seed beads are handstitched onto heavily corded, luxury Italian lace. 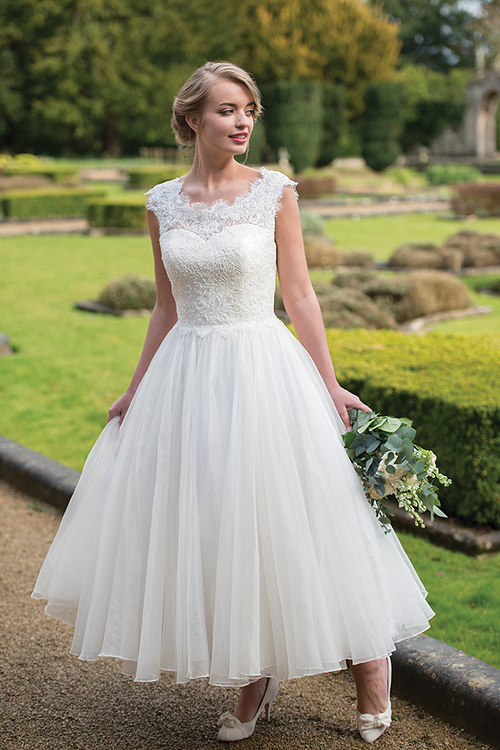 Featuring an internal eyelet corset inside the bodice which can have sleeves added if required.